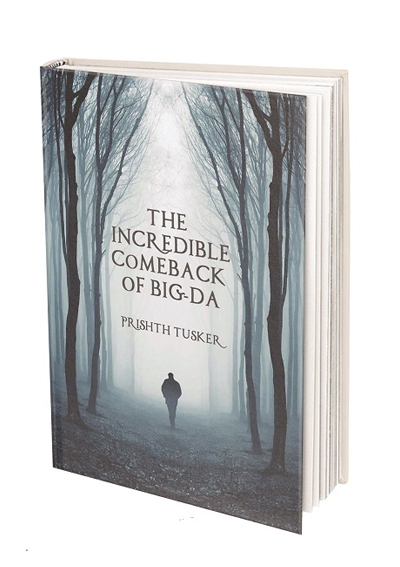 The Incredible Comeback of Big-Da tackles the uprooting of the great Indian family and migration through an unthinkable journey of an unlikely hero – a dying grandfather who has lost his companion. I began my life as a Hindu refugee. At six. I had to hide my four-year-old sister under a corpse in a gunny sack and cross the new border between the two Punjabs. So, of course, at seventy-six, when I cramp into a rubber dinghy with Syrians, I am not afraid of the endless Aegean. I am afraid, though, of not crossing the border before my time is up. I am dying. I don’t have a visa. And I want to see my family. My son, his wife, and my granddaughter – my life – in Cambridge. I began my life as a refugee. It took us seventy years to rebuild our life in Kashmir. Our home. Our family. But by the time my wife and I made it, Kashmir wasn’t good enough for the next of us. My son and his family left us, the country. There were the two of us and we had our home, at last. I am Seth Amar. My story begins when my wife broke our pact and left this world. And I had to cross seven nations and beat the God’s clock to get my family back. Once a refugee, always a refugee. And I have a secret. I killed a man when I was six. His people had killed my family. He was a mussulman. My feelings towards his kind are deep-rooted. And now, when I cramp into this rickety dinghy with their lot, I don’t know how I’ll make it.